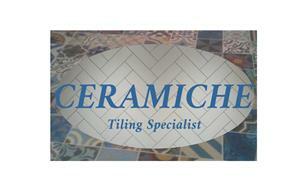 Ceramiche South West Ltd - Tiler - Tiling based in Hilperton, Wiltshire. Floor & wall tiling for your home or for your commercial property. Knowledge & vast experience in all aspects of tiling. Floors & exterior areas, Kitchen splash backs, Bathrooms, Wetrooms. Large format porcelain, Brick bond metros, Herringbone, Chevron. All stone types, Moroccan encaustics, Victorian mosaics, Handmade ceramics. A complete range of tiling services at highly competitive prices. 20 years of experience in the business, I have acquired a reputation as a first-class tiler. I very much enjoy my work & take great pride in all of the projects I undertake. I do my utmost to stay within budget & ensure you - the client & I have a good working relationship. I am happy working with project managers and architects. I enjoy working alone or as part of a team. I am confident and happy to step up when problems arise - delays can be costly and inconvenient. I pride myself on being honest and reliable. All work undertaken is completed to the highest of standards.